Geneva is a small but charming city with a lovely city centre, a very interesting international area and nice walks to do around the lake. It’s a pity everything is as expensive as you can imagine! Arriving by plane? Take advantage of the only free thing you will find in Geneva: free transport tickets (limited to 80 minutes) are available in the baggage claim area. We chose to take the train which got us very quickly to the Cornavin station. On our first day, we walked along the Mont-Blanc quay, opposite to the iconic Jet d’Eau (it was not on because it was too windy :(). We passed next to the Bain des Paquis, a very trendy place where you can eat, swim and discover cultural exhibitions. Unfortunately, we did not have the time to stop as we had to rush to arrive on time to the United Nations. 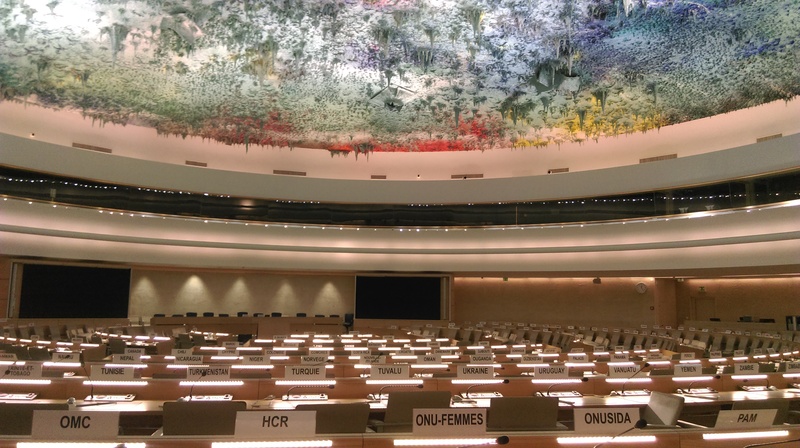 We paid 12 Francs to get the chance to visit the Palais des Nations. The tour lasted around one hour and took us in the Human Rights room (amazing 3D roof! ), the Assembly Hall (used for large meetings) and the Council Chamber (with very nice murals). Another option in the UN area is to explore the rich collection of plants and animals in the Botanical Gardens. Although located in the WTO gardens, the visit is free and it’s a very nice place for romantic walks or to let the children play. On the second day, the Jet d’Eau was working again! Yihaa! 500 litres of water per second are jetted at a speed of 200 km/h to an altitude of 140 metres. Pretty impressive when you walk just under it! We spent the afternoon in the charming Old Town which is plenty of nice squares and streets going up and down. We visited the St Pierre Cathedral: inside this protestant church, you can admire a wooden chair used by John Calvin, one of the leaders of the Reformation. We also paid 5 Francs to climb up 157 steps to enjoy a lovely view on the city and the Jet d’Eau. We then rested in the nice Park des Bastions where you can play giant chess, enjoy a drink at the Café or take a look at the Reformation Wall depicting the main actors of the Reformation. 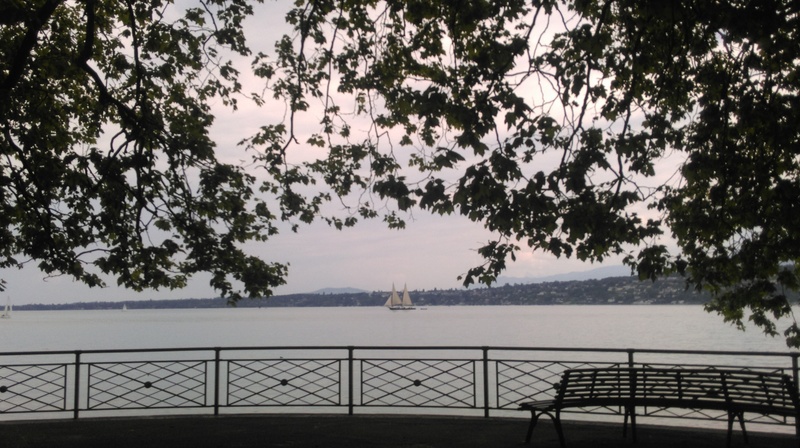 What to do in the evenings in Geneva? To be honest, you won’t find any advice on trendy places to eat or go out in Geneva. We were staying with a friend and we did not exactly have the budget needed for this kind of activities. On the second evening, we walked to the municipality of Carouge, a very charming neighbourhood right next to Geneva full of small shops and nice squares that will make you feel you are in a small village in France. I ate typical perch fillets and meringues with gruyere cream in La Bourse on the Place du Marché. It was nice and tasty but again, what is really worth 60 Francs?! I lived for awhile in Geneve; unfortunately I was on a limited budget – I almost starved to death.